the Tang was able to field not only one of the most populous armies in the region~ supplemented by its large economy, but also produce the most technologically advanced troops in the region as well, such that by the end of the dynasty in 907, there were grenades, gas grenades, shrapnel bomb tribuchets, land mines, fire lances (a primitive form of gun that spewed out noxious smoke and sprayed shrapnels) ~ and in 919, only 12 years after the collapse of the dynasty, the Chinese would also field their own flamethrowers as well. The short-lived Sui dynasty only boasted two emperors, first, its stern but competent founder, Emperor Wendi, then followed by his debauched and terrible Emperor Yandi. 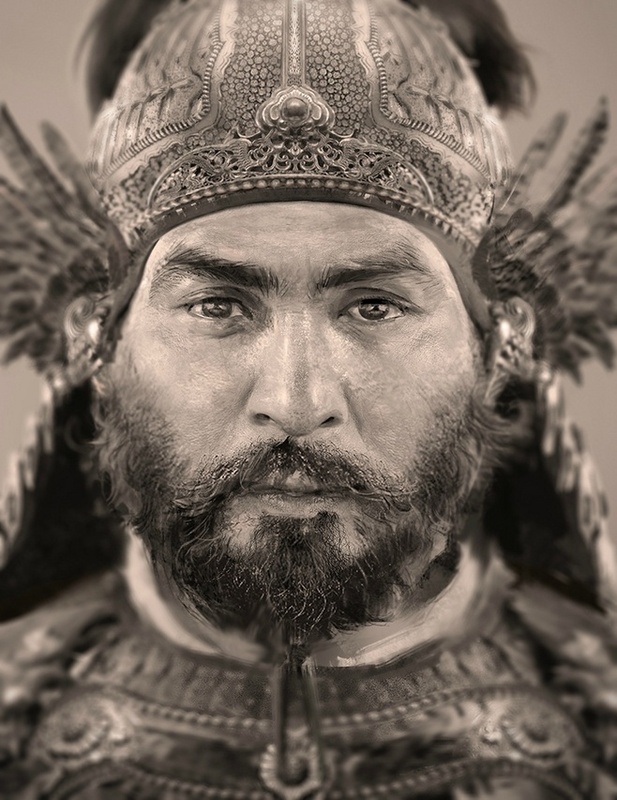 Emperor Yandi of Sui had often been considered as one of the worst emperors in Chinese history, and was comparable to Commodus of Rome~ who inherited a unified (for the first time in 300 years,) obedient, and functional Chinese state, but single-handedly ruined it through his lavish debaucheries and mis-rule. If the latter Tang records were to believed, Emperor Yandi's misguided invasion of the Korean Kingdom of Goguryeo costed nearly a million Chinese lives- plunging his empire into financial ruin and crippling taxes in preparation for another invasion. Nearly all part of the empire rose up in rebellion in the later reign of the emperor, -and finally, Yandi was assassinated by even his own bodyguards in 618. After nearly 300 years of chaos and high warlordom, it seemed China only took a singled collective breath as one, then was again shattered into a patchwork of no less than 200 warlord states. 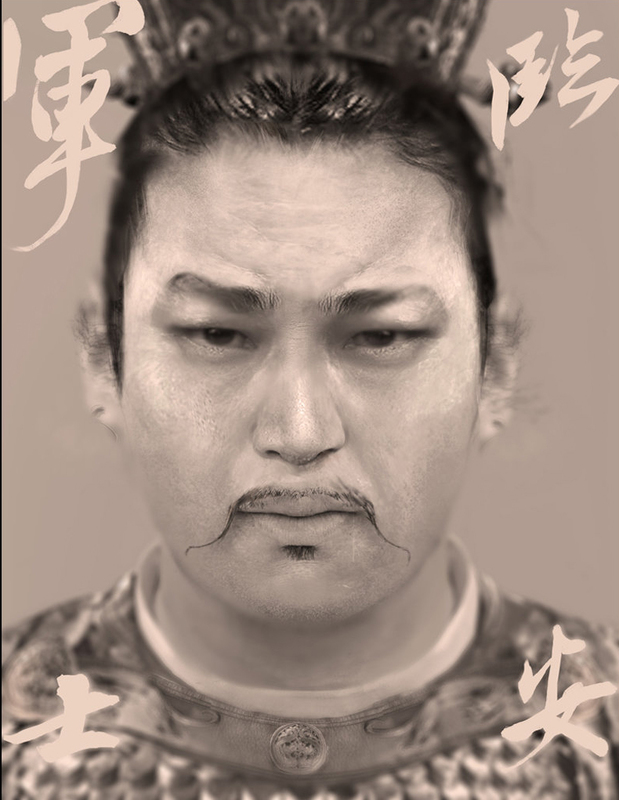 The Tang was born into a climate of total chaos, with the assassination of the last Sui Emperor in 618, the Chinese state would be divided into no less than 200 factions of warlords. 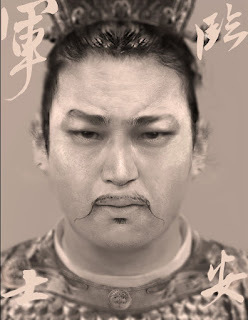 Li Yuan, the founder of the Tang dynasty had served as one of the provincial military governors in Shanxi, asserted his clan in the massive civil war and rose to become the first Tang Emperor. Seizing on the Sui disasters, Li Yuan, a high-ranking Sui general, rose against the emperor and went on to establish his own Tang dynasty. The men under his command on the day of his revolt totaled roughly 30,000, both infantry and cavalry. However, unlike many of the southern generals who hoped to replace the Sui, he was able to enlist the aid of several thousand Turkish cavalrymen. 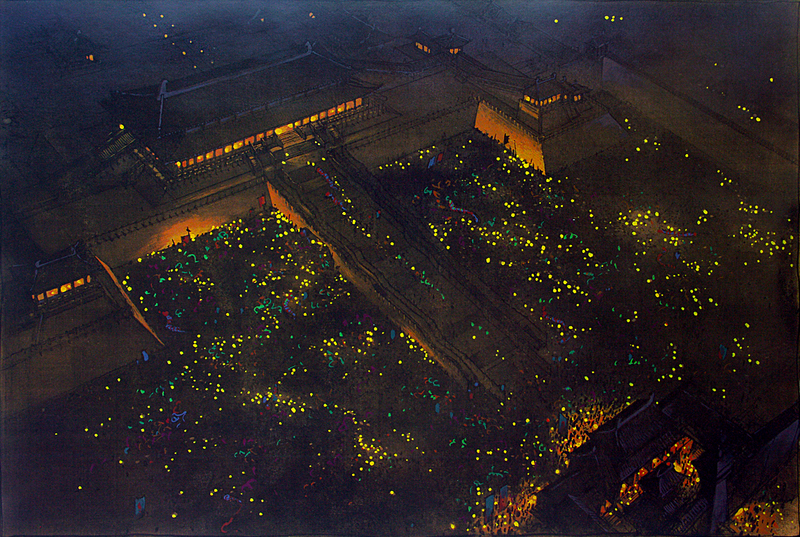 By the time Li Yuan had captured the city of Changan, which was proclaimed the new capital of the Tang, he had picked up an additional 200,000 men. Many of these were men who had deserted the Sui army during and after the disastrous Korean campaigns. 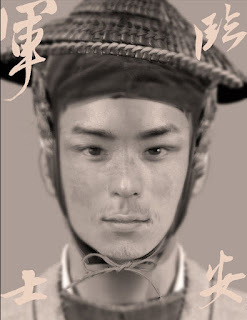 After proclaiming the formation of his new dynasty and styling himself as Emperor Gaozu of the Tang, Li Yuan divided this force into twelve divisions, each led by a trusted general, for there was still much fighting to come before China was securely in Tang hands. These were true divisions, expected to be able to operate on their own with a full complement of various types of weapons and soldiers, both infantry and cavalry. In addition, the soldiers were allotted lands on which their families were to be settled. The frontier colonization of these conquered lands was to make the divisions self sufficient in supplies, an institutional continuation of the Northern Wei and Sui military systems. This was why Li Yuan took such care to settle large numbers of his soldiers on lands near to the steppes, both as a secure line of settlement but also as a projection point to launch further expansions. Unlike the southerners, the Li clan, having been true northerners who intermarried and knew well of steppe customs- many of the early Tang Emperors were very comfortable with steppe traditions such as hunting and the relative freedom of women—a result of the intermingling of Chinese and nomadic peoples during the previous 300 years of disunion. 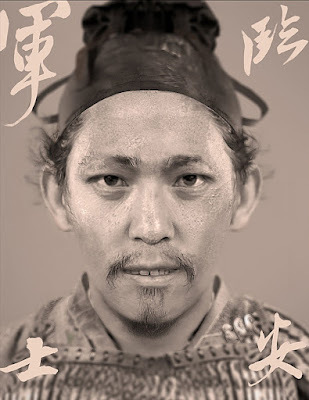 Tang Taizong, second emperor and co-founder with his father of the Tang dynasty, demonstrated a combination of military and political skill that made him one of China’s great emperors. His mastery of the nomadic threat is especially notable. 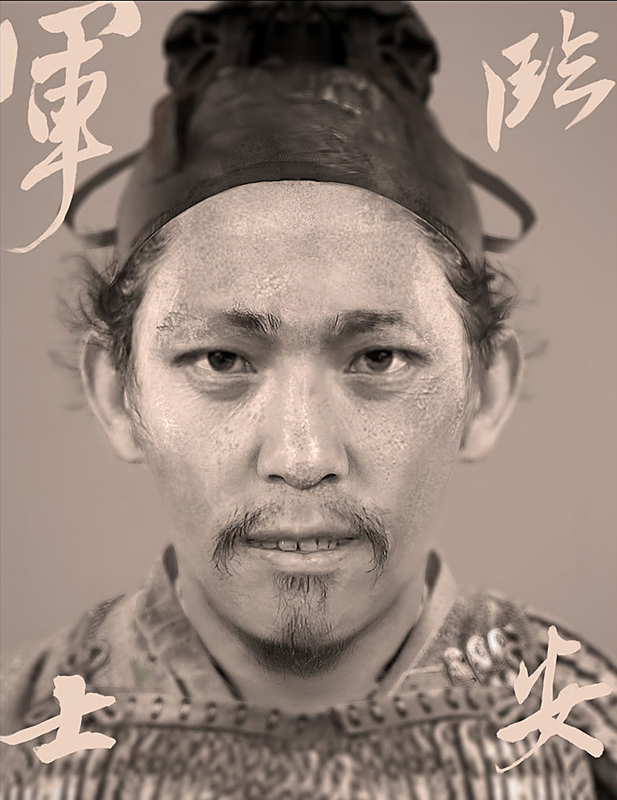 Taizong was accepted by the steppe soldiers he led due to his frequent and casual adaptation to steppe traditions, especially his knowledge of steppe politics and military tactics. Frequently, he led his soldiers in person, often when outnumbered by enemy forces, reportedly having four horses shot out from under him during the course of his campaigns. He was also acquainted with the steppe military tactic of the feigned retreat, adapting this tactic successfully from its use with cavalry forces to use with primarily infantry forces. In policy, Taizong was particularly successful at implementing his father's expansionist strategy of landgrab and settlement, in fact, after the reunification of China, he was not only able to legitimize himself as the Chinese Emperor~ the "Son of Heaven," but he was also able to proclaim himself as the "Heavenly Kaghan" (essentially, “Emperor”) as a simultaneous ruler of all Turks after he destroyed the massive Gokturk Empire. 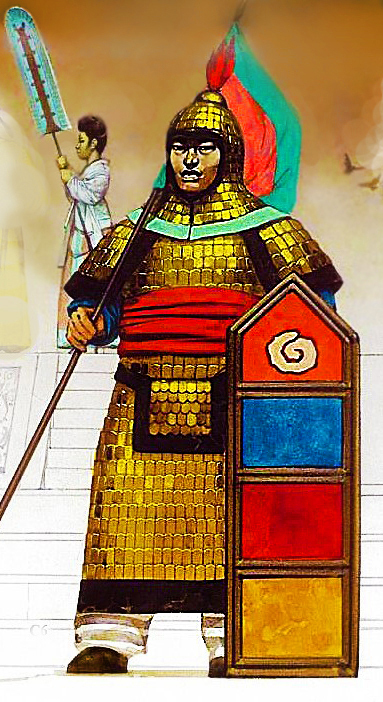 Tang cataphracts: Some of the heaviest and best equipped fighting forces in the orient, unlike their progenitors in Persia, which saw a drastic reduction of these bulky, decisive shock cavalry in the 8-9th centuries as a result of the staggering success of the mobile Arab- Turkic light horse archers. In China, the Tang, and the ensuing Song, Liao, and Jin, dynasties all still fielded such heavy cavalry as a way to break apart the disciplined Chinese infantry blocks. 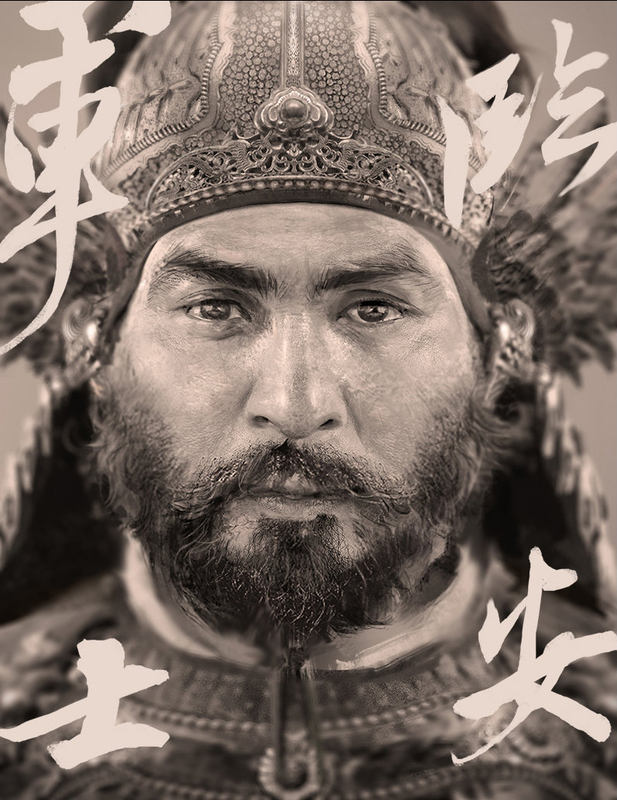 Through his diplomacy and aggressive campaigning, Taizong was able to further take advantage of the inter-tribal wars among the various steppe tribes to insinuate himself into their politics and feuds. 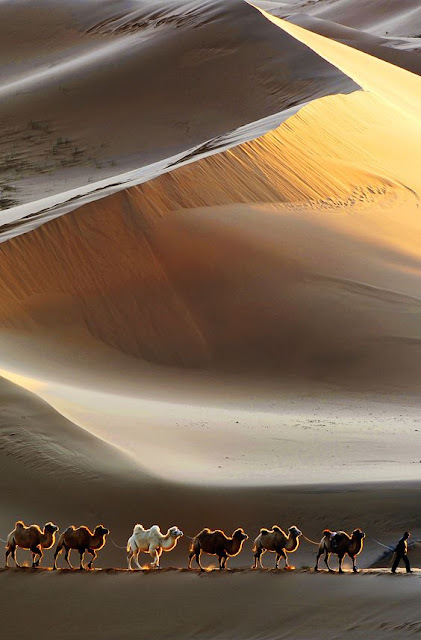 The result was that many of the nomadic tribes became an arm of the Tang military system. 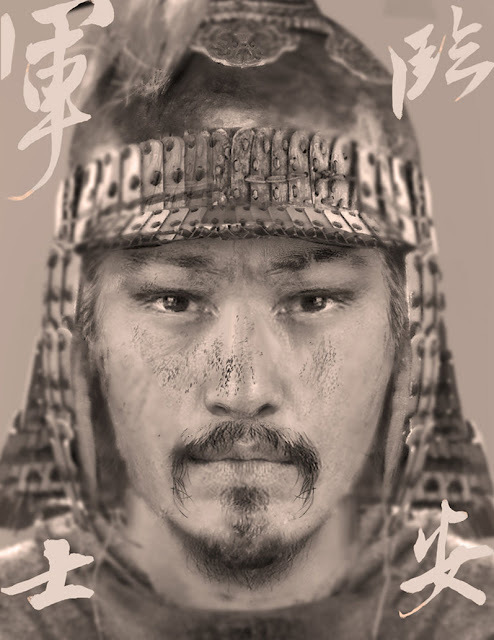 For a more detailed analysis of their origin and Tang cavalry in general, click here. 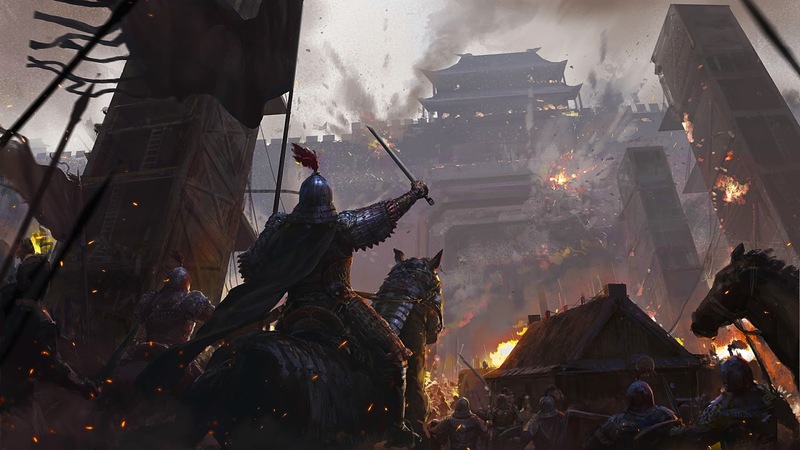 Taizong thus solved—at least for a time—the main problem plaguing Chinese armies since the Zhou period: the lack of horses, the fatal necessity to create a credible cavalry arm. Thus- steppe nomads, whether be Xiongnu, Xianbei, or the Turks made up the bulk of the Tang cavalry during the reign of Taizong, and they were called on at times to assist in his campaigns for the consolidation of Tang rule within China proper. 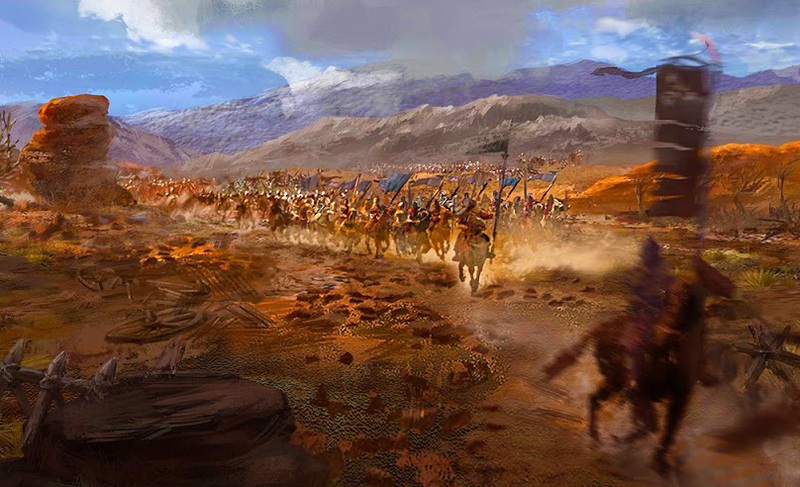 Those few times steppe tribes refused to heed his orders, he sent Tang armies, aided by other steppe cavalry, to bring them to heel. Tang imperial cavalry, covered mostly in steel lamellar plates, illustration based on a late Tang painting depicting the victory procession of Tang cavalry over the Tibetan Empire in the 800s. The Tang cavalry would include steppe people such as the Gokturks, the Uighurs (both are still Mongoloid- thus oriental in appearance) and many of the Caucasoid people of the Tarim Basin, then Bactrians, Sogdians (modern Afghanistan) Persian, and even some Arabs. 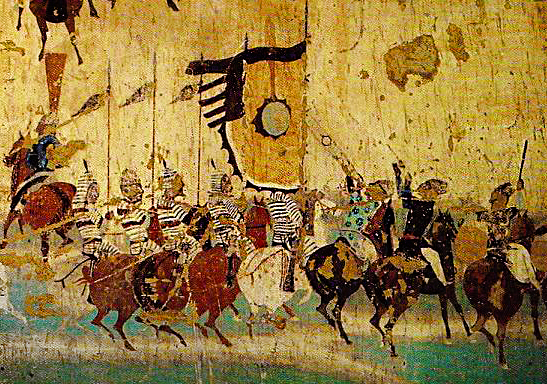 The composition of these armies were uncertain, but according to works of Li Jing, the Duke of Wei and a Tang general who helped to destroy the Gokturk Empire- a typical campaign army (cavalry + infantry) would be made up of a force of around 10% crossbowmen, 10% archers, 20% cavalry and the remainder as melee infantry. Each infantry soldier was expected to carry a saber, lance, a bow and armor. 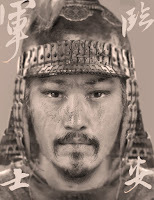 Later Tang emperors were unable to maintain the sort of personal authority that was necessary to control the steppe nomads. But nomadic internal rivalries allowed the Tang dynasty to keep its northern frontier fairly secure for a few decades after Taizong’s death. 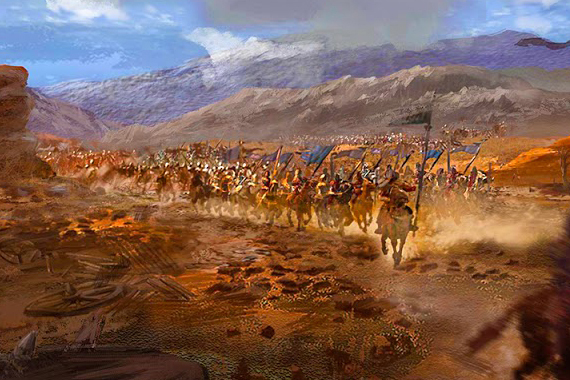 Even after Tang control on the frontiers weakened later in the eighth century, the dynasty could often call on nomadic armies for assistance. But Tibetan invasions and the An Lushan Rebellion in the mideighth century, coupled with ongoing transformations of the Chinese economy and society, would finally destroy the almost symbiotic system of nomadic cavalry alongside settled Chinese infantry. 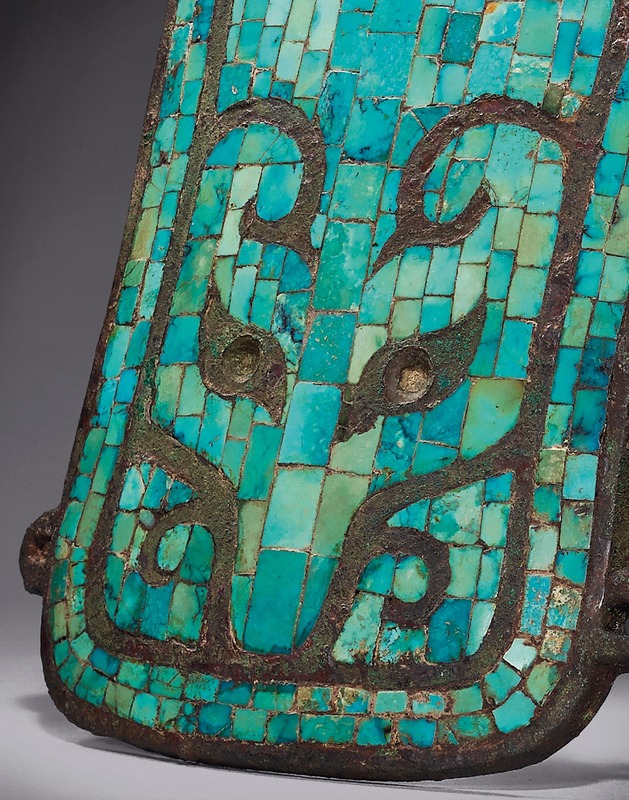 Late Tang armor of a warrior encased in by what then had became the "mountain scale"
or "mountain pattern" armor. He wears a Tang era cap. 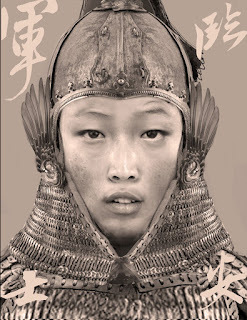 Tang conscript in heavy lamellar armor. 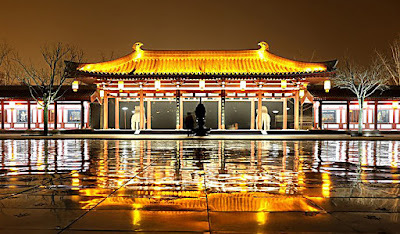 The Tang dynasty, especially from the time of Tang Taizong, consciously worked to create a system whereby the dynasty was primarily defended by citizen-soldiers. 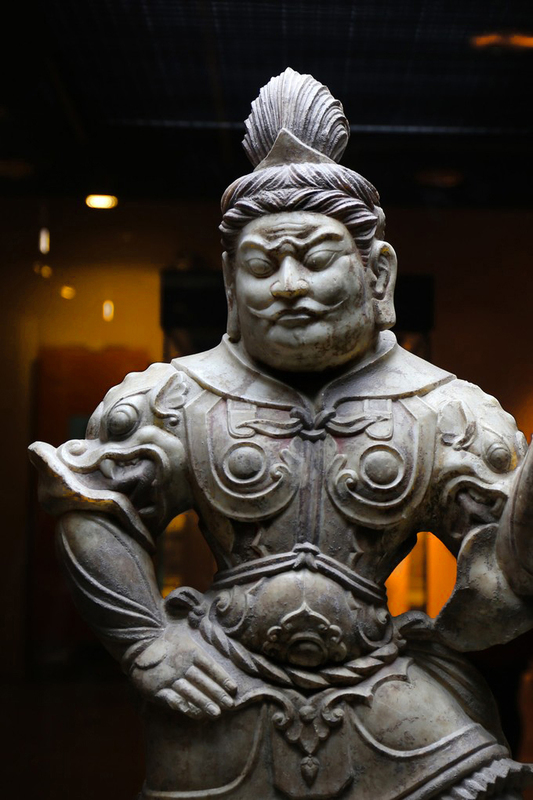 Like the Han dynasty, the Tang was suspicious of large professional armies, believing that skilled professionals were much harder to control or to keep loyal than an army composed of free citizens. 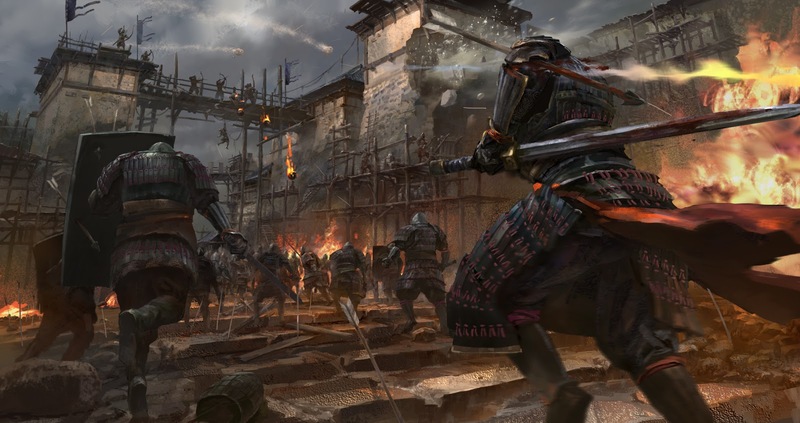 However, the Tang also believed that some skilled professionals were necessary, especially for the expeditions the dynasty planned in both the north and south and as a mobile strike force. As we have seen, the cavalry arm was primarily made up of nomadic horsemen who could be both used as a buffer and called on to assist in military expeditions. In the next section, we will discuss the skilled professional force that was kept near the capital. In this section, we will focus on the large forces of citizen-soldiers called the Fubing Army. 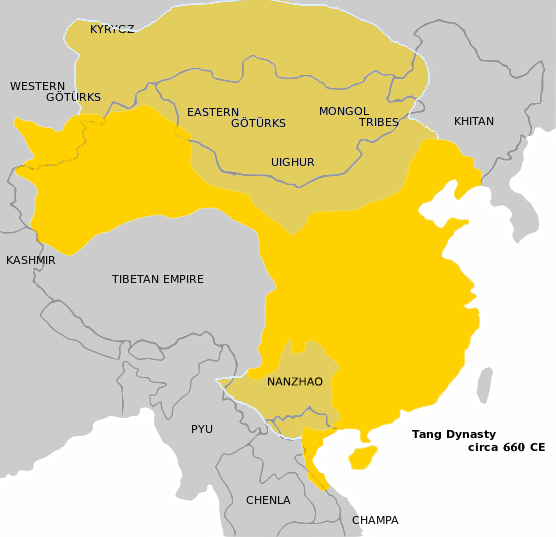 The Tang Empire at its relative height around 660 at the reigns of Taizong, Gaozong, and the Empress Wu Zetian, during which the dynasty maintained a steady expansionist pace of expansion and incorporation of much of the Tarim Basin, modern Mongolia, and Central Asia. 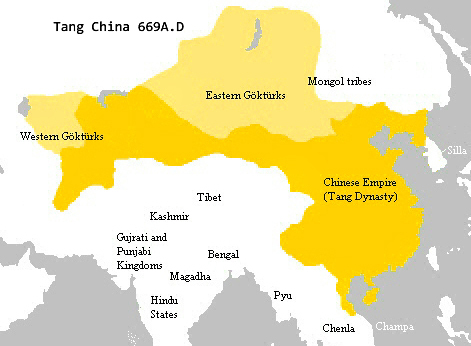 The Tang Empire in 669 at its maxim extent during Gaozong's reign after its defeat of the Eastern and Western Gokturk Empire and the incorporation of much of northern Korea, however these gains would be rather fleeting, as rebellion quickly rose in these regions. The Turks, Khitans, and the Tibetans would all try to invade the empire during the reign of Empress Wu Zetian, but were each repelled with her deft cunning, however, by the later reign of Emperor Xuanzong, the Empire would be wrecked by the massive An Lushan Rebellion where 13 million people, nearly a quarter of the empire's population, and representing about 5% of the 8th century world’s total population perished. The term Fubing has been translated in various ways, the most common being “militia.” This is not satisfactory. Militia usually refers to men who are soldiers only part-time or part of the year; the rest of the time, they engage in their primary occupation. The members of the Fubing, however, were primarily professional soldiers, members of a standing army who spent all or nearly all of the year in military units, training or engaging in security duties. 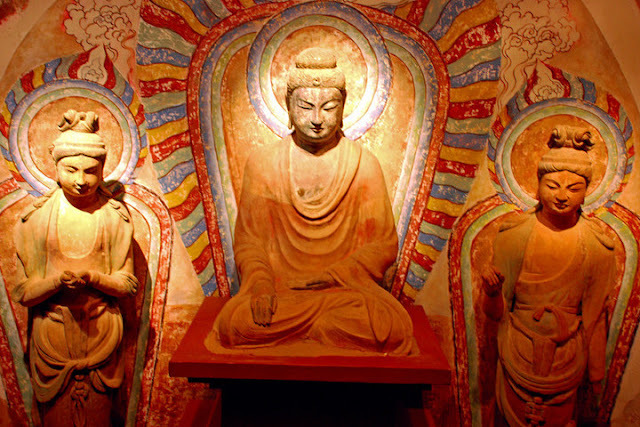 The confusion in meaning comes from how the Fubing were recruited, and, sometimes, the Chinese sources from the Tang period are themselves unclear as to what the functions of the Fubing were. Nonetheless, in tracing the evolution of the Fubing, we learn that in the early Tang, at least up until the end of the eighth century, it was the most effective part of the Tang military, maintaining the security of the Tang frontier and assisting in several of the early Tang military expeditions. As we saw earlier, when Li Yuan established the capital of Tang China at Changan- by this time, he had over 200,000 men in his command. Although more fighting would be necessary to establish control over the rest of China, Li Yuan needed to ensure that the northern frontier was secure. To that end, many of these soldiers and their families were settled in agricultural communities. When additional soldiers were needed for his armies, Li Yuan had these families furnish them, along with their equipment and weapons. As these communities were expected to be self-supporting, the Tang court was spared a large expense. By the 660s, the Tang Empire would be composed of millions of traditionally "non-Chinese" peoples, thus, the Fubing Army's composition would have had many ethnicity within them, from Vietnamese conscripts to Cham mercenaries. 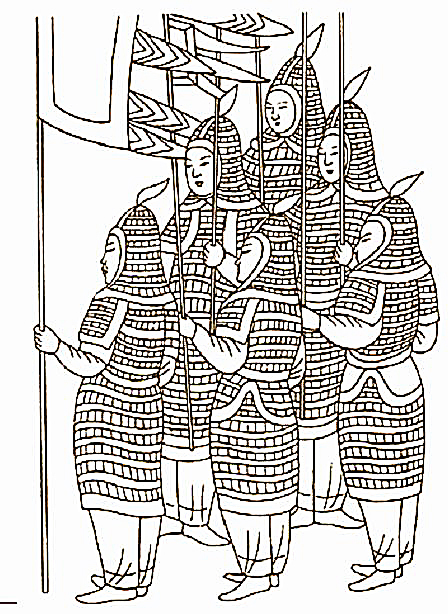 Heavy infantry in lamellar armor with lance and shield, based on this tomb relief. When this system—obviously extensively copied from the Sui military system—was expanded to include all ten of the provinces under Tang Taizong, the Tang had seemingly solved all three of the main Chinese military concerns. That is, there were military forces on the northern frontier to protect against nomadic threats; scattered military units were available for internal uses; and, because all these forces were self-supporting, there was little drain on imperial finances. When the Fubing system was established, there were 623 communities, each with 800-1200 soldiers plus their families, making a total military force of well over 600,000. While the soldiers trained, their families were required to work their assigned lands, much as in the Sui and the Northern Wei earlier. 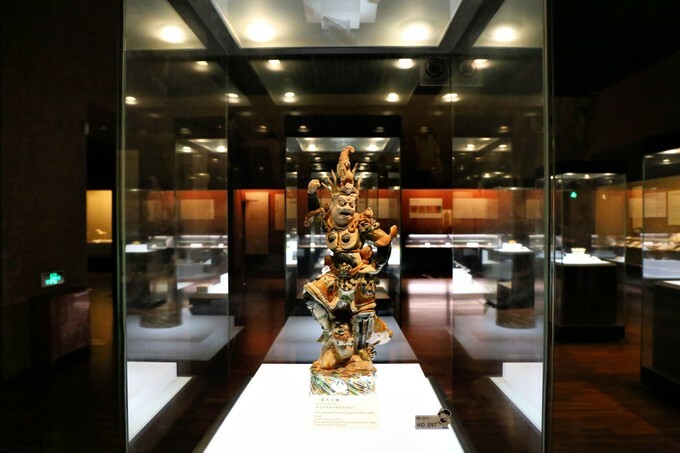 But a key difference was that during the Tang dynasty, little private landownership was allowed in China, and all land was divided up according to a very complicated formula. 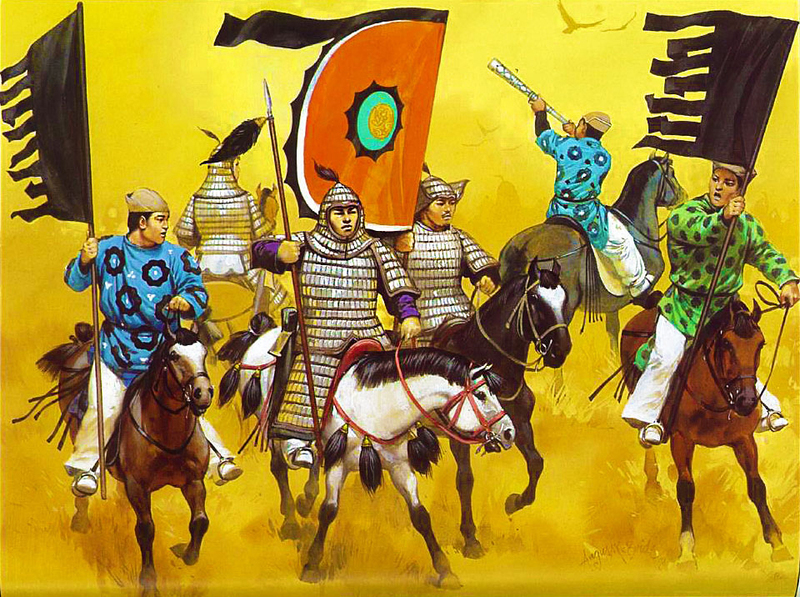 This Equitable-Field system was implemented throughout the early Tang and was the basis for the Fubing military system. Those communities classified as military were allotted a certain amount of land, which in the early decades of the Fubing system was quite large. In return for providing soldiers and supplying military needs, these communities were exempted from many taxes. Officers from the Imperial Guards in the capital were dispatched to the Fubing communities to oversee the administration of the lands and to lead the soldiers when necessary. This was to prevent local commanders from bonding too tightly with their men and gaining too much independent power, though lower-ranking officers usually came from within the ranks. 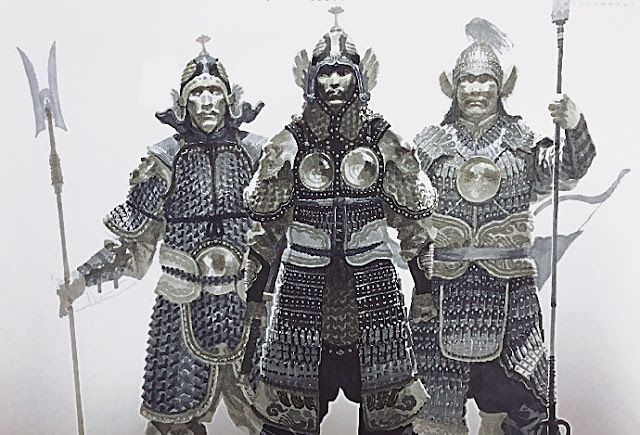 Tang officers from the 700s, wearing the distinctive Mingguang armor, distinguished by the twin breastplates that protected the torso, relatively lighter than the heavy lamellar armor- it was often preferred by the officer corp, these armor often marked the high status of its wearer- one of the reasons that many of the Tang dynasty tomb guardian figurines wears such armor. Early Heian era samurai helmets were influenced by these cavalry helmets- especially the cheek pieces. 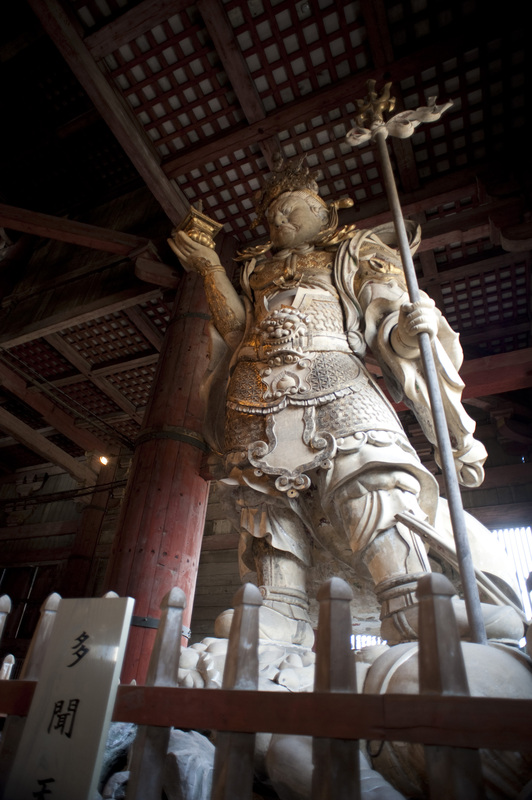 statues of Gods and celestial guardians in Japan would immulate Tang styles exactly, to the point of faithfully adopting the Mingguang armor as well. Later iteration of Bishomonten would depict the God wearing the mountain scale armor of the late Tang dynasty. 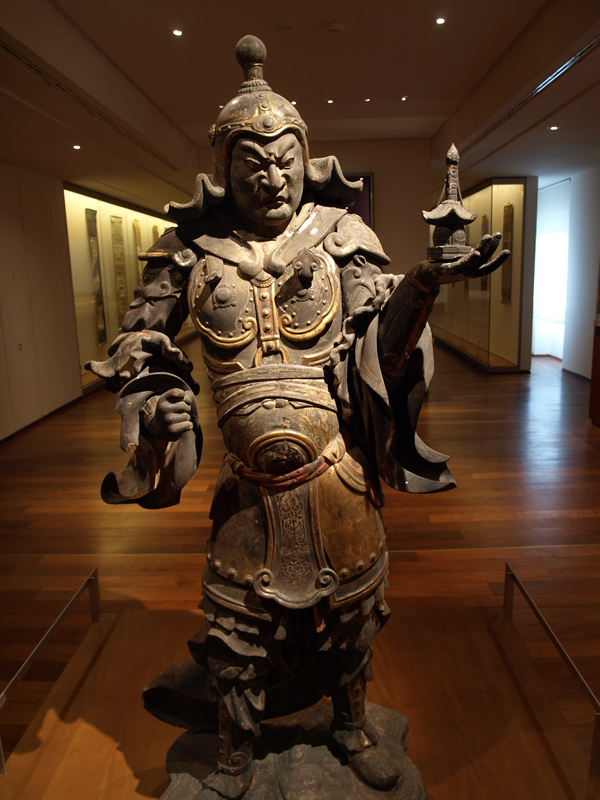 Dunhuang scroll painting of a celestial guardian in Mingguang armor, 7-8th century. Recruitment was not by universal conscription, nor was it a strictly hereditary duty as under previous systems such as the Sui. Instead, roughly once every three years, officers of the Imperial Guards would circuit the Fubing communities and recruit, choosing on the basis of wealth, physical fitness, and number of adult males in a military household. Though the age of recruitment varied over time, generally a man was enlisted from age 20, and he would serve until age 60, when he could retire. Membership in the early decades was considered an honor, and those families with wealth and influence were able to get a higher proportion of their sons accepted. It is not clear how rigidly the physical requirements were enforced, but recruits were supposed to be in good health and were tested on physical strength. Those from frontier communities were also tested on their horsemanship. After being accepted as a Fubing soldier, the new recruit and his family were expected to provide all of his rations, armor, and weapons. Groups of families were required to provide horses, mules, or oxen for use by the Fubing. This was a relatively cost-free way for the Tang to maintain a standing army, its only expense being the allocated land. 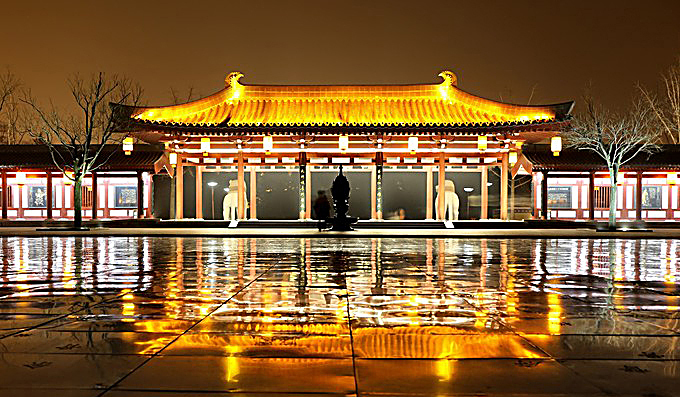 The three main duties of the Fubing were, in order of importance, garrison troops on the frontier, guardsmen in the capital area of Changan, and combat troops on expeditions. Local commanders of the Fubing were expressly forbidden to move their troops out of their camps without authorization from the court. There were exceptions in emergencies, but a commander who did move his men without prior approval had to notify the court immediately. Punishment for failing to follow these rules was exile or even death for the offending commander. 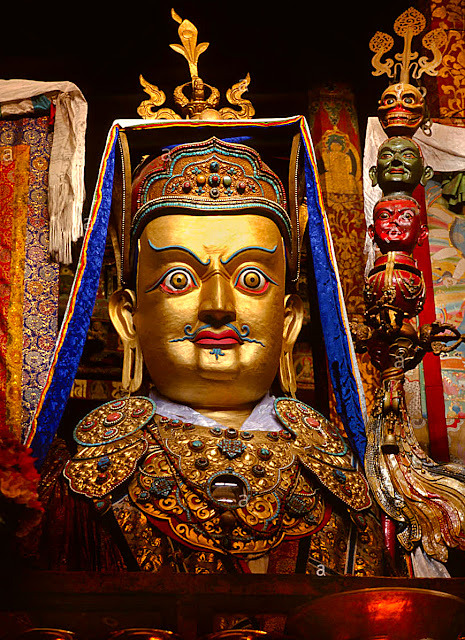 Throughout the seventh century, the Fubing acquitted itself well along the frontiers and also maintained the Tang hold over the newly unified southern territories. 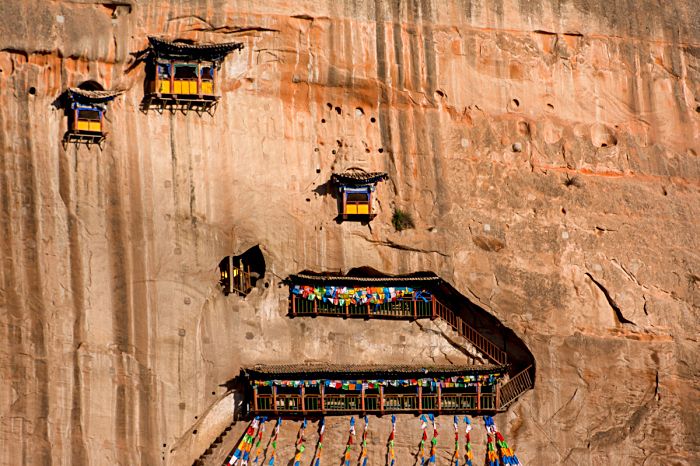 Taking part in Tang military campaigns was the last duty of the Fubing. Rarely did the Fubing campaign on their own. Most often, they went into combat with large numbers of other Tang military units. The Korean campaigns, for example, were manned primarily by troops recruited from regions near Korea, but the Fubing were often the backbone of the expeditionary force. Also, an expeditionary force sent to subdue the kingdom of Nanchao (the present-day Chinese province of Yunnan) contained a large number of Fubing soldiers. Tang infantryman, in heavy lamellar armor. A Tang palace guard officer and a heavily armored imperial guard. 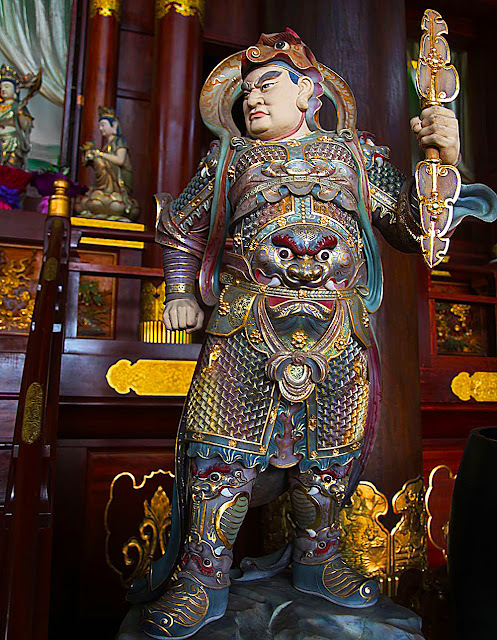 In addition to the Fubing units that were expected to be composed of citizen- soldiers, the Tang maintained a professional force at the capital of Changan, designed as the personal army of the emperor. 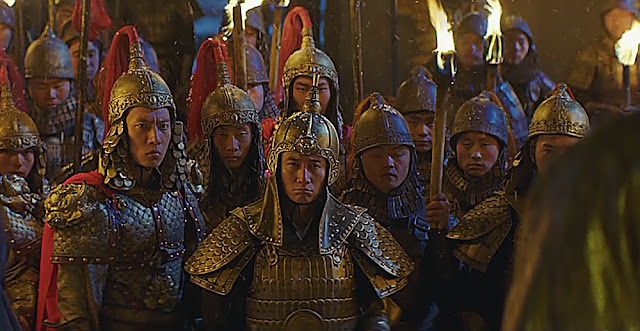 This was the Palace Army, composed originally of those units used by Li Yuan in his revolt against the Sui dynasty. Often, this army is called the “Northern Army” because it was originally posted in a defensive position just north of Changan, as well as in the northern sector of the city. By Tang Taizong’s time, nearly all of the soldiers in this army were from noble or wealthy families located in the capital region. For a detailed analysis of the Tang Imperial Guards, please check out the article listed here. At its height of effectiveness in the late seventh century, there were probably no more than 60,000 men in the Palace Army. In this early period, it was the core of Tang military strength and even included a cavalry element. Members of this army trained constantly together, and those who were tall and strong and showed ability at horse-archery were admitted to the cavalry, commanded mostly by specially recruited Turkish officers. Other than some of the cavalry officers, most officers in the Palace Army came from the Imperial Guards. Indeed, most of the top Fubing officers were also Imperial Guardsmen. The Imperial Guards were recruited exclusively from the families of nobles and former high-ranking officials, and some have seen this as a modified version of the “hostage system” that had been used by the Han dynasty to maintain some measure of control over powerful families. 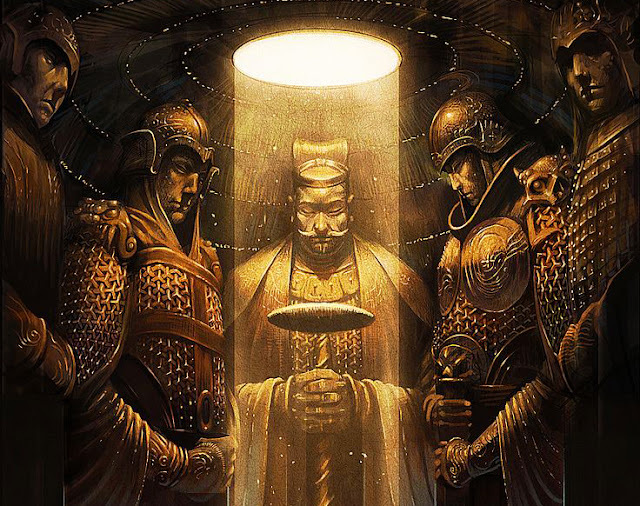 As long as membership in the Imperial Guards was esteemed, there was a constant flow of competent, energetic officers for both the Palace Army and the Fubing. But by the late seventh century, the Imperial Guards— and therefore the Palace Army—had become involved in imperial succession struggles, and their effectiveness had diminished considerably. 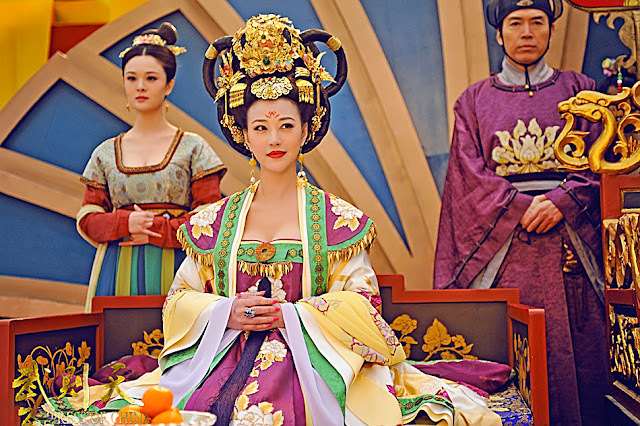 The empress Wu (690-705) greatly expanded the Palace Army, enlisting men from outside the traditional recruiting grounds. This could have been an invigorating move that revitalized the military efficiency of the Palace Army; but, instead, a major unit of the Palace Army was used in 705 to depose the empress, and various other units later were frequently called on to assist in court intrigues. During the outbreak of the An Lushan Rebellion in 755, the Palace Army simply melted away as the rebel forces approached. 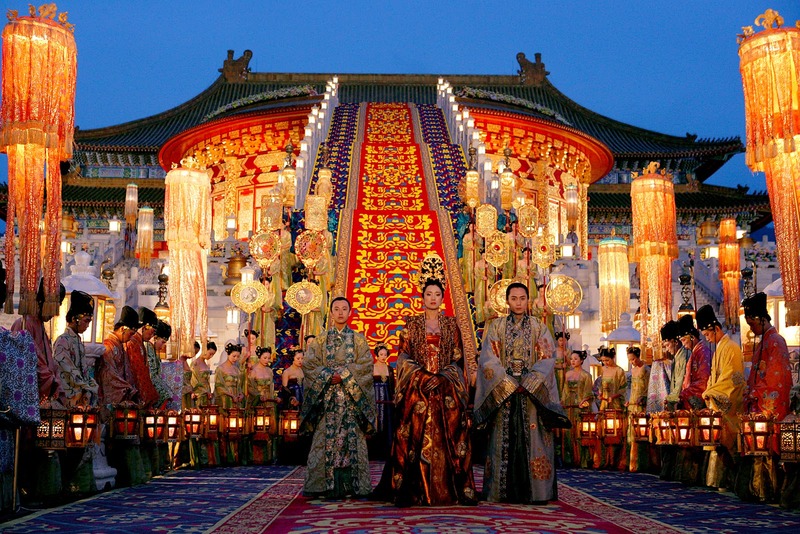 Only 1000 of the supposedly elite force were left to accompany the emperor as he fled the capital. Afterwards, a new type of Imperial Guards was introduced to protect them Emperor, known as the Shen Wu (Divine Martial) Guards. 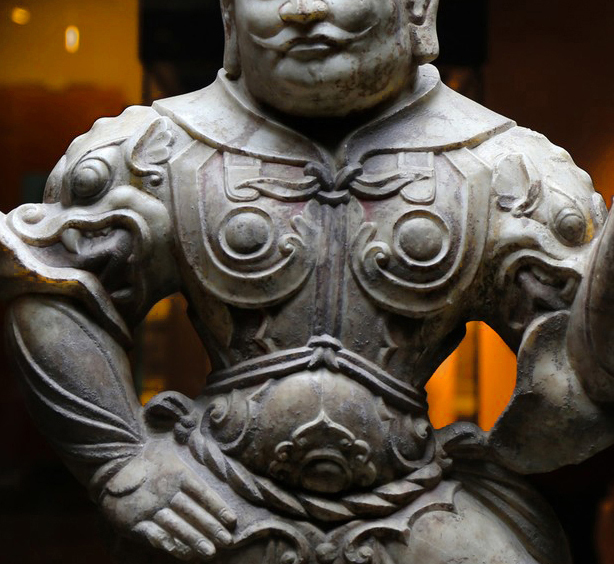 There is general agreement that through the 600s the Fubing were a competent, efficient military force that remained loyal to the Tang court. 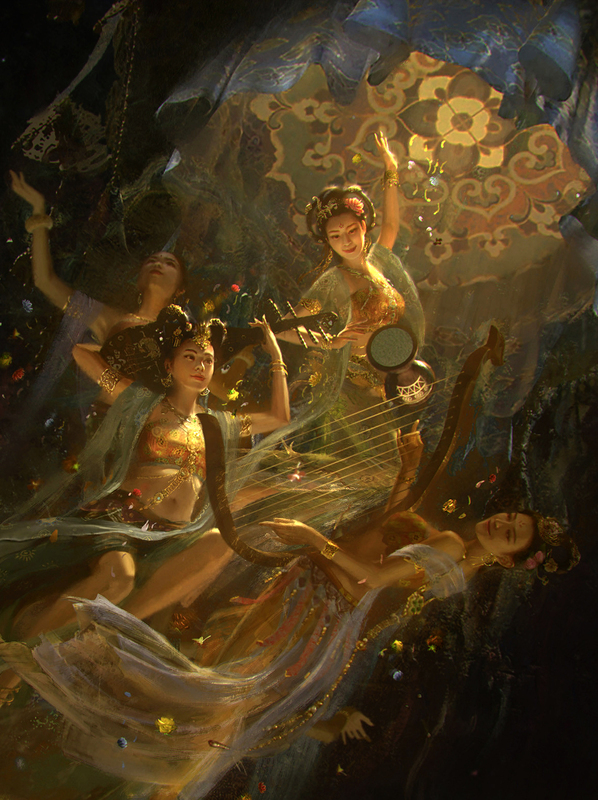 However, changes in Tang China’s economy and society in the early- to mid-eighth century led to the decline of the Fubing. The Equitable-Field system was without doubt the foundation of the Fubing military system, but in the early 700s, aristocratic families, government officials, religious orders, and others with influence were gaining effective private ownership of land. Many of the Fubing lands passed into private hands, and many military households saw their share of land reduced drastically. Service in the Fubing became less prestigious, and families increasingly saw classification as a military household as a burden and attempted various means to have their status changed to civilian. The Fubing system was formally abolished in favor of a system of fully- professional, voluntary soldiers in 749. By then- it was a whole new world, the armies of the late Tang would be outfitted with the best equipment anywhere in Asia, all of their expenses would be supplemented by the desperate state itself, but the world had again fragmented in pieces. Though still proud, though still ready, the glory days of the early Tang was over. Can you please post the link for the armor picture of the cavalry officer. Thanks! Hey man, do you have the sources for the black and white pictures of the soldiers? Thanks. 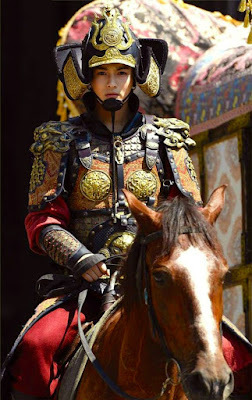 Can you do a post about the Battle of Baekgang? Hello old beast, I think I finally found out about the soles of the ancient military Chinese cloth/silk boots. Since rubber was not invented, the soles are likely leather like WWII now for better equipped high ranking troops or cloth (32 layers stitched very densely and treated for water proofing) soles. See below extract from eteacher chinese blog. I was a bit disappointed that it was not all leather soles like Mongolian or European troops. 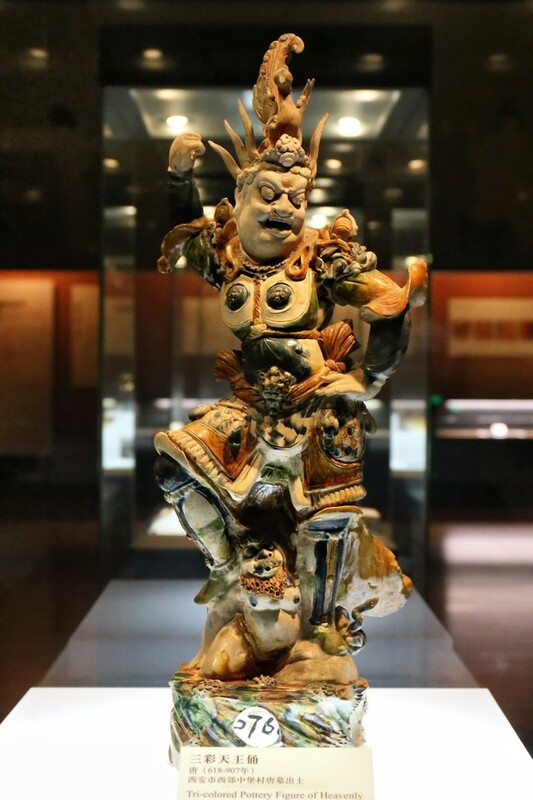 From the ruins of the Yin and Shang Dynasties (14th–12th centuries BC), archaeologists have unearthed, on independent occasions, a pair of leather shin guards and a headless, kneeling jade human figure, whose shins show traces of wrapping. According to historical records, before military boots were invented, soldiers wrapped pieces of hide and rattan around their shins for protection, and certain scholars believe that military boots were developed from these beginnings. Examination of the terra-cotta warrior figures of the Zhou Dynasty (1100–256 BC) unearthed in Shanxi’s Houma City shows clearly that the neat stitching on the soles of their footwear is exactly the same as that seen on the stitched soles of hand-made cloth shoes today. This discovery indicates that stitch-soled cloth shoes were invented for military wear over 2,000 years ago. 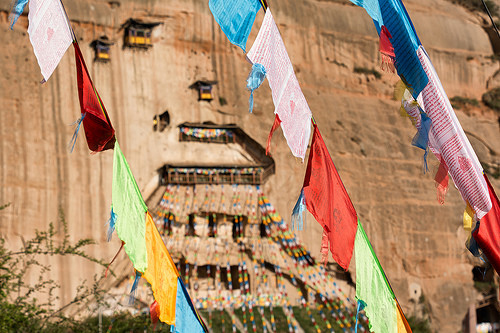 However, before cotton was introduced into China along the Silk Road at a later time, ko-hemp and flax were used for the stitching of shoes, when the flax stitching in particular made soles both durable and stable. Within the ranks of the underground terra-cotta army of Emperor Shihuang of the Qin Dynasty (211–206 BC), generals and cavalrymen wear leather boots, while archers wear square-headed, stitch-soled cloth shoes with a strap across the instep. This shows that standardization of uniforms according to military ranks and services had already been adopted at the time. In the Qing Dynasty (1644–1911), military boots were adapted for civilian wear and also became part of the uniform for officials. Boots came in the two styles of pointed or square-toes, the former being for everyday wear, and the latter for court attendance. The soles of these boots were made from 32 layers of cloth and were later used in the making of the cloth shoes worn by the common people, which have since become known as One-Thousand-Layered shoes. To allow such soles to breathe, as well as being elastic, water-proof, and wa cavalrymen proof, 100 stitches per square inch of the sole were required. On completion of this stitching, the sole would be soaked in water at a temperature between 80 and 100 degrees Centigrade, and would then be hammered, shaped and dried. Today this style of shoe is still popular, abroad as well as within China. Regarding the Ming Dynasty border troop dragon figure, I wonder how accurate is it. 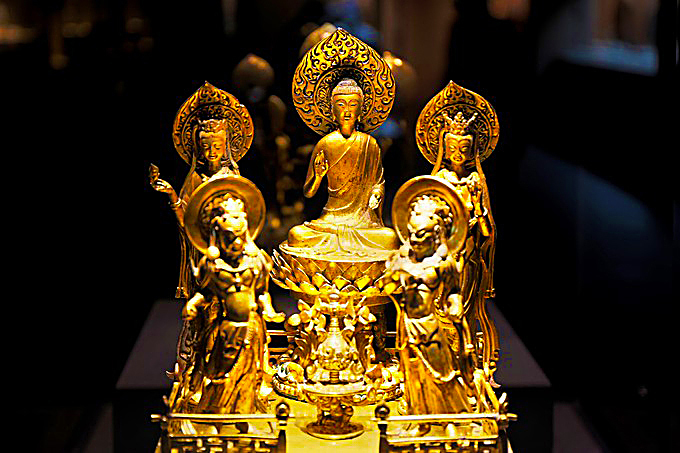 Do you know if it is based on exact suit in a Chinese museum near great wall ? 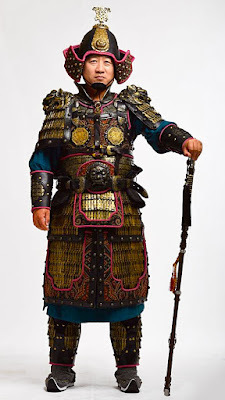 Anyway, Ming dynasty armor and weaponary is more advanced than Qing dynasty due to the Manchurian's biase of not wanting to follow Ming practices. Hey blog author, can you please tell me which movie is the stills of gold and blu-ish silver armored cavalry from? And if possible, please specify the film names of stills in successive blog posts if you use them? Thanks.